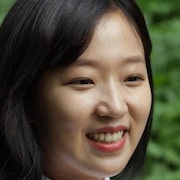 Sun-Hwa (Roh Jeong-Eui) is a first year high school student with a bright personality. One day, senior student Soo-Yeon (Jo Soo-Hyang) happens to see Sun-Hwa. She casts Sun-Hwa to Juliet in her play that she is directing for the school's drama club. Sun-Hwa soon meets her co-star Ha-Nam (Kwon Na-Ra) who will play Romeo. Ha-Nam is a senior student and all the other girls look up to her. While practicing for the play, Sun-Hwa gets close to Ha-Nam and feels something for her. Filming began June 9, 2016 and finished July 17, 2016.